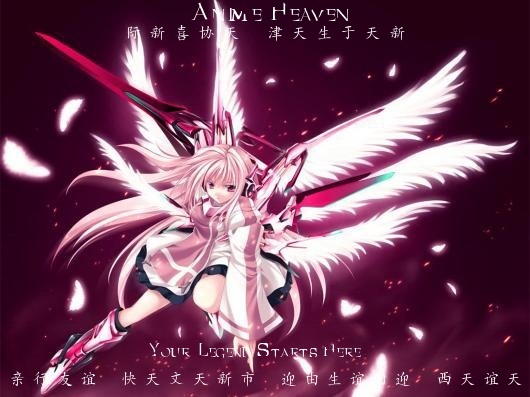 You are currently not logged into Anime Heaven. Please log it now, or register if you are a guest to join in on the Legend of Anime Heaven. The War is Coming, are you ready to make a name for yourself...? A Roleplay site Based off of a Fanfiction Story. Creations, posts, ideas, and information from this site are copyrighted to their respective creators and owners. Content may not be taken or used without their permission. Violation of this rule is considered plagiarism. Mage Academy nor the Creators/Owners/Founders, Staff Members, or Users (may be reffered to as 'We', 'Us', 'Our' and the like) take credit for the site template. Any pictures added to the site 'skin' are properties of their respective owners, We (Mage Academy, Founders/Creators/Owners, Staff Members, & Users) take no credit for making, creating, or distributing the 'skin'. All Website 'skin' templates are distributed on Hitskin. Mage Academy is property of the creator(s) (“Narora Senoku” and “Midnight”) and all Original Characters that go with it. Layout credit goes to all Staff Members of the site, past and preasent. Any Characters from other Anime, Manga, Games, Books, Comics, Plays, Musicals, Television Shows, Cartoons, and the like belong to their individual creators. Mage Academy takes no ownership over any of these. WE DO NOT OWN ANY CHARACTERS, WEAPONS, TECHNIQUES, ABILITIES, CLANS, AND THE LIKE THAT MAY APPEAR ON THIS FORUM, UNLESS STATED OTHERWISE BY THE CREATOR OF THAT ITEM. All Original Pictures, Weapons, Characters, Abilities, Clans, Techniques, and all around Ideas belong to their individual owners. Mage Academy takes no ownership over any of these. Mage Academy is licensed under a Creative Commons Attribution-NonCommercial-NoDerivs 3.0 Unported License. Azmot walked inside the large building, reading the slip of paper that had been assigned to him. The world that he entered was one of the most feared places in existence. People cowered at it's very name, the beast devouring children for all time. It's name... was High School. Azmot was assigned to learn about the humans, as well as find potential recruits for the Angels. Multiple Angels & Demons were assigned to this task, but it was clear that it might be for different purposes. Looking at his paper, Azmot checked what room he was in first. 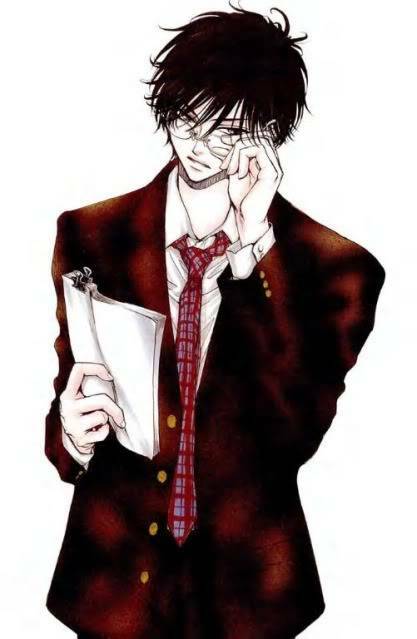 Walking across the hallway, the Angelic student had on grey slacks and a white T-Shirt, his red tie hanging down blandly. This was the school uniform, or so it appeared. It was actually a Sourpowa molded uniform that acted as a body armor in case a fight broke out. The uniform was mandatory of all Angels that came to this school, unless they were assigned a specific job such as a teacher, lunch lady, etc. Lost in his thought, Azmot was shocked to realize that he had already arrived at his homeroom. Opening the door, he also realized that class had already started. The angel looked towards the other who came too late. Gosh. Seriously now? He didn't have the nerve and patience for alot of annoyance-s today. Going here... just because he lost a bet. Good job, man. As he glanced over towards Azmot who was still gasping and frantically sat down, he immediatly noticed the pressure he gave off of himself. His eyes widdend a little in surprise. The angel shifted his position to simple sit, as he was previously with his legs on his table, and eyed fiendish the angel. "I'd recognize that pressure anywhere. An angel, huh? Far more powerful then me... so I'd better keep a low profile..." His view shifted forward as the teacher started talking, but his concentration was mostly on the angel. He was the most dangerous to him currently, as Beysuke called it quits to Kami, betrayed her and fled. It's a low chance that he'd notice, but... Beysuke's a little paranoid. Narora glanced up from his nap at the door opening. His dreaming was cut short. Neko-sensei's lecture had thrown him to sleep right at the beginning. He was sent with another Angel, who he did not know, to this place to watch over the area. Of course, his mission was slightly shorter, as he would be leaving again for even more missions. Damn that Kami! And this place was the worst place to go. It smelled of blood and lust. He had to dodge a large mob coming to class, and ignore the praying eyes of all the girls in the school. Just what was wrong with this place? "... and that's what the Law of Entropy is. Any questions?" the teacher said, scanning the room with a wasted energy. A deep exhale exited the room as he turned around to draw on the whiteboard, as if they had just avoided riding the Titanic. Looking around, Azmot finally noticed a presence... but it emanated from the teacher. It was so faint, yet it wasn't Angelic... definitely an Akuma. The teacher... was a demon? Azmot knew not to make a scene, but wondered how he would handle the situation. His thoughts were caught by the sharp ringing of a bell, signaling the end of the period. Standing, he noticed a familiar face.. Narora! He was assigned here too? Azmot walked over to his desk nonchalantly, bumping him slightly to attract his attention. "Yo, Nar. Nice to see ya." he said, also bumping into Daisuke by coincidence. "Oh, Sorry." Azmot said, not noticing anything suspicious about the purple headed boy. Immediately after he passed the teacher, he felt his prying eyes. "Have a nice day, Neko-Sensei." With a smirk, he left, standing outside to wait for Narora to pass. It would be nice to talk to him before he had to go to his next class. Beysuke barely listend to the teacher, but forcefully had to a little, in order to understand what was going on here. Or rather, the rules... pfft, as if he'd keep to them. Never did, never will. As the bell rang, he stood immediatly up, groaning in boredom. He hated this place already, and would be happy, once he was able to leave it. "... Watch it, angel! Use your kami forsaken eyes sometimes, bakajaro..."
As he went along, he looked poisonous at the two. And yet... he was interested what angels were doing in such a place. Keeping himself in the sidelines, he'd follow and watch them. Right now, he went outside the classroom, but stayed next to the door, keeping an eye open. Narora walked out and up to the fellow angel, smiling. He ignored the cries from the girls as his eye twitched and responded. "Yo, Azmot. Nice to see ya too. What you here for? Kami sent me to check this world out for a little more information before it's given a Rank." He stated. A rank was given to a world depending on how hostile it was. This world was unknown for now. The Rozen Maiden world was ranked C, for the already inhibitors, and the Kingdom Hearts world was ranked A, for the deadly activity. 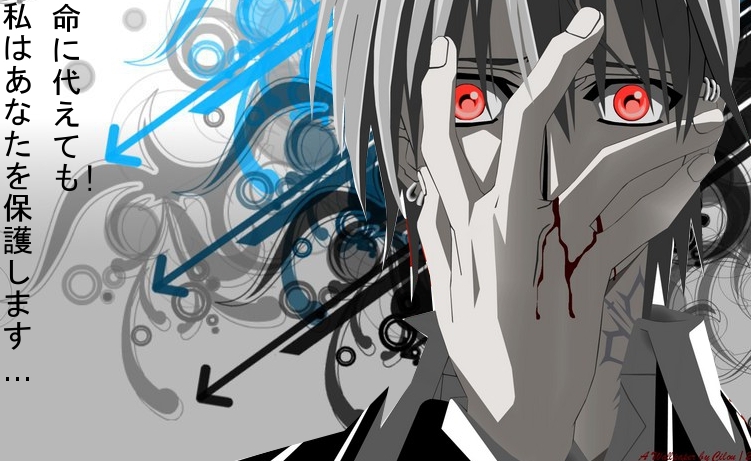 His eyes flashed to his right as he spotted a boy running past him, a look of slight fear on his face. He blinked, then watched as a group of girls ran after him. He blinked again. "...strange world..." he sighed. "I'm here," Azmot started, watching as Neko-sama walked out of the room, a slight snarl escaping his lips ", to find some possible recruits for the War, maybe even take some 'you-know-whats that need to keep their noses out of other peoples business." All the while, Azmot held a competitive stare at the demon teacher, who walked towards the stairs up. Looking back only once, he shot an inviting, yet murderous, stare at the disguised angel. Smirking, he patted Narora on the shoulder, excited for the invitation of battle. "I'll see ya later today... I got a free period next class." The sound of the bell rang, making Azmot step away from his friend and walk toward the stairs, Neko-sama far out of sight. Sugiroshi Neko held a cigarette in his mouth, looking out into the distance. Azmot was in the doorway, prepared for the next hour of exercise. "Hey, Neko-sama! How are you today?" The angel said, his sword disguised in a baseball-bat bag. Shouldn't you be in class.... who are you again?The demon said nonchalantly, acting as if he did not know his name. "Funny. So, who are you, anyway?" "Don't give me that crap!" Azmot said, stepping closer. He reached into his bag and pulled out his Soursodo. "I like how you memorize the lines, but I want the real deal. Who are you, I ask once again." Don't narrate yourself, it's boring. Also, kinda annoying. Besides, I'm about to introduce myself. Names Xigarel, nice to meet you. You are? He said, a slight taunting tone. "I'm Azmot Tekanisho. Pleasure, I'm sure." Eclipse was pointed toward the demon, emanating a pressure. "Shall we begin?" Narora's eye twitched as he watched the so called 'Kracken' of a teacher drone on and on about science. (I know he's the PE teacher, but i don't want Naro to do PE Yet XD). He about nodded off a few times... and actually did not long after that, good thing he was sitting around big guys, or he'd have been caught. As he slept, he snored lightly and gained the attention of some students. In the back of the class sat a man with black hair and blue eys. He was smelling all the different scents in the air and just sighed. 'Great. It's only been a few hours and I already can smell trouble.' He though and looked around lazily. 'And a good amount of the strong ones seem to be Angels.' He grumbled in his mind. He had no problems with Angels. Just that those he's seen seem to be after nothing more then his blood. 'Isn't this place suppose to be a school for monster?' He asked himself. His eyes then landed on one person that seemed to be sleeping a few desks in front of him. Ignoring the fact that the angel should be in 'class', he gracefully, and yet secretly, followed Azmot with his eyes. The male seemed to be going up towards the roof. Interested what he would be doing, especially since he saw the previous teacher walk up, he had the urge to cause some trouble. As he swiftly moved towards an almost secluded part of the school, the angel activated his first known technique. He converted his Sourupowa into his shoulderblades, causing misty, light purple wings to sprout. They took up quite alot of size, and yet seemed as weightless as air. As he managed to flap with them a few times, he made quick distance, and quickly looked from above how Azmot was challange the teacher to a fight. Grinning, he stayed above. If Azmot noticed him, he didn't care. He just wished to see a good fight. Getting bored abit Bakuto decided to do something to eleviate his bored by doing something he rarely does. Cause some minor disturbance by wakeing up the student a few seats in front of him. 'Don't even no why I'm doing this. After all, I won't get in trouble if this doesn't guy wake up. Though it might be fun seeing how he wakes up.' He thought as he took out a small screw from the desk he was behind. He then quickly tossed it at the sleeping student. Dance, my Soursodo! Let crimson ichor flush through your lovely grooves, Gashitoga! After words, a slight murmur and more laughing escaped his lips, revealing a cocky side of the demon. "Nice performance, if I may say so. But," Azmot said ", do not get so sure of yourself just yet. I am an Angel, and I CAN kill you. No-" Dropping the sword's bag, Azmot concentrated Eclipse's power and flew at him, summoning his sheathe to aid him. Putting the sword in it's case, Azmot pulled out his gloves during mid-lunge, smiling as he skillfully flashed them on. Once he was close enough, Azmot snapped both of his fingers, causing friction. In turn, his Alchemic gloves created a 3 foot rod of fire. Shaping his blue fire, the rod quickly became a pointed spike. Arm distance away, Azmot shoved the spike at the demonic teacher's face, only to receive two bone spears in his chest. Luckily, his school uniform prevented the spikes from piercing him, but pain echoed throughout his body. The spike faltered, but still hit it's target with a lessened force. Burn marks scorched the demon's face, making Xigarel screech in pain. Why you little... Go, Bone Dance Dome! Otherwise known as... Black Different Dimension! As the words escaped his lips, a cloud of Darkness covered Azmot. As he wallowed in Darkness, a world became clear. Azmot checked the misty surroundings. There seemed to be only one piece of land on this world, floating above a dark red sea. The sky was painted a wicked black, the sun only burning a green light which made Azmot's skin crawl. Even though it was day, all was dark, all but for the figure in the distance, two spears in it's hands. Xigarel. "Where are we?" Azmot yelled, his voice reaching the figure, who seemed to be about 20 feet away. HELL! Isn't it obvious? Xigarel exclaimed, getting closer to Azmot without moving. His body was literally shifted towards him, getting feet closer with each second. Periodically, actually, with every second. 1 second, two feet. 2 seconds, 3 feet. However, when Xigarel would have reached him, dark liquid instead replaced the figure. A clone, one of darkness, no less. Realizing that the liquid was a trap, not only a distracting, Azmot put his gloved fingers in fists, pounding them together then twisted, creating a great amount of force. Blue flames swirled around him in a sphere, stopping all damage the liquid would have caused him, if any. When his flames cleared, Azmot noticed a different scene, that of the school roof. A demon illusion? Likely. But where had Xigarel gone? Out of his side view, Azmot saw it. The teacher moving to an otherwise unnoticed individual, Beysuke. "A-another angel? Get out of here!" Azmot said, but Xigarel was fast, flying on what seemed to be... Wings of Bone and Blood." With no time, Azmot simply wished that he could dodge in time. Narora felt the flux in Sourupowa of the roof, eyes wide and blinking. He cursed, quickly running to the bathroom due to an 'emergency', but caught quite a few eyes as he did. Some he might regret later, one being the green eyes of some pink haired girl. Bakuto just blinked as he saw the guy running before the screw even hit him and wondered what was going on. Deciding to be at least a little curious he decided to sneak out of the room to follow. Being in the back of class had it's advantages in that no one would notice him. 'What are you up to Angel-san?' He thought as he was following him. Seeing him grab a weapon from his locker he began to go to his own and pull out his partner from it. 'Where ever he is going he is going into a fight. Better be ready just incase.' Bakuto then saw him running again and went after him.